CAKE's adherence to their original guiding principles has only grown stronger. Originally formed as a somewhat antagonistic answer to grunge, CAKE's democratic processes, defiant self-reliance, and lucid yet ever-inventive music has made them a nation-state unto themselves, with no obvious peers, belonging to no school. In addition to writing, arranging, producing, and performing their own music, they have taught themselves to engineer their recording projects in their own solar-powered studio, which actually generates more power than is needed to run it, causing the building's electrical meter to run in reverse. 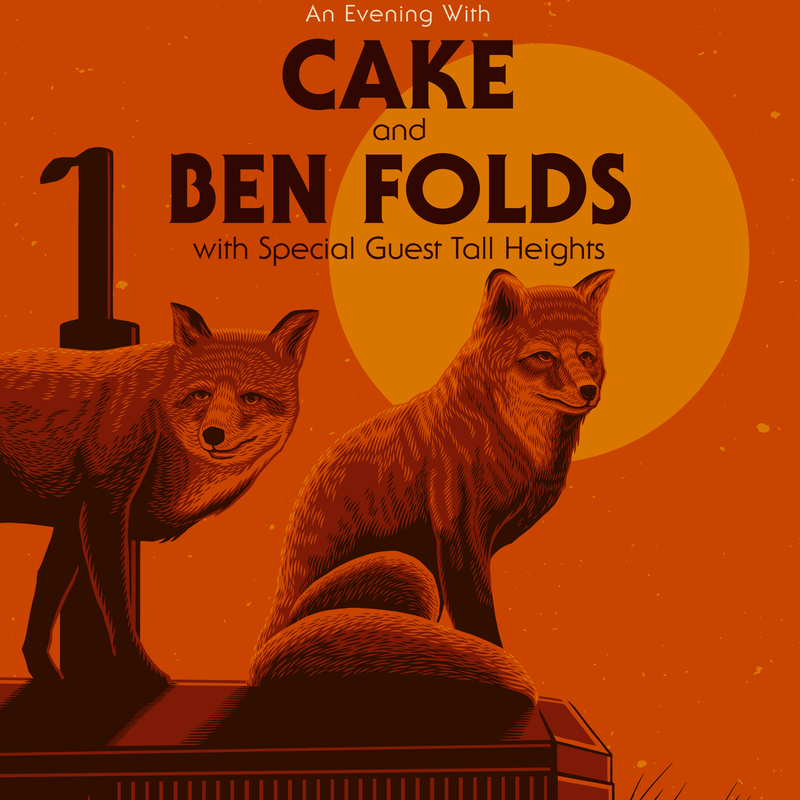 CAKE's most recent album, Showroom of Compassion, debuted at #1 on the Billboard Top 200 Album Chart and was touted as "deadpan brilliance" by the New Yorker. The band is currently in the recording studio working on their ninth album due for release during autumn 2019. In the meantime, CAKE will be releasing a series of 7" vinyl singles, starting with last autumn's protest song, SINKING SHIP. For more, please visit www.cakemusic.com.